The bestselling guide to blogging?updated and better than ever! 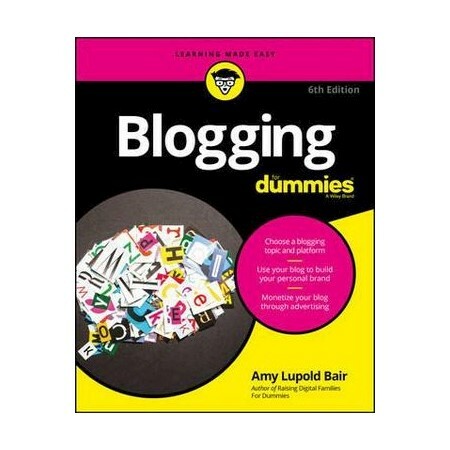 Whether you're interested in casual blogging or creating a more professional online presence, Blogging For Dummies covers it all?and makes it easier than ever to put your thoughts and words out to the masses. Updated to include coverage of the latest trends and techniques in the blogosphere?like technology changes in blogging software and social media?it helps you choose a blogging platform, use SEO effectively to drive traffic to your blog, create content that's pinnable and shareable, and integrate your blog with social media through plug ins. Best of all, you'll discover how you can make real money from your passion and become a professional blogger. Amy Lupold Bair owns Resourceful Mommy Media LLC and blogs at resourcefulmommy.com. She's the author of Raising Digital Families For Dummies. Susannah Gardner was among the editors who launched the first Los Angeles Times website and is coauthor of three previous editions of Blogging For Dummies.